Hey Harlan, since you're in this thread, any info on the XU's pack weight? It goes Winter - Break Up - Summer - Where Did The Leaves Go? - Winter Again. Summer is about 4 months, with one good month if we're lucky. This can be any one of the 4. Winter is about 7 months. 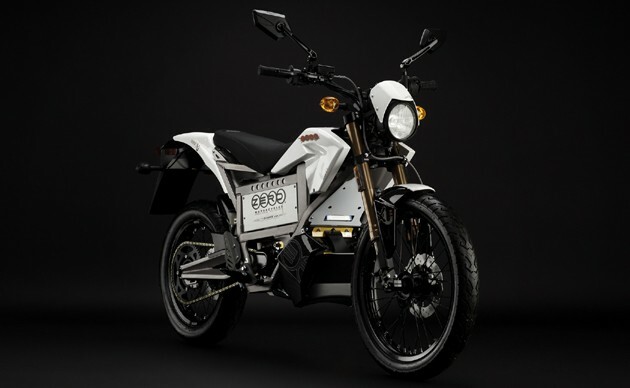 The 2010 X & MX models used a 46 pound battery. I'm assuming it will be the same this year. The AutoblogGreen XU post has tons of pics and a video. Here's one. I think they were asking about the weight of the removable battery in the XU. It's only a 2kWh module, so it should weigh significantly less... yes? based on harlan's response, i checked on the X & MX. The specs on the X & MX have a 1.7/2.0 kWh pack just like the XU, so i was guessing they're the same. Yes, the X, MX and XU will all use the same battery to the best of my knowledge. Here are some more photos of the Zero XU Urban Cross that I took today at my Yamaha dealer. In case you can't read the small print on the sale sign, it says: Price $7,995; Electric Motor, Automatic; Transportation: $500; Set-up fee: 0; CA tire fee: $3.50; Documentation Fee: $55.